Have your kids divide their savings into three equal containers. The first is your child’s savings—this stays and can eventually be deposited in a bank account. The second container is for spending, and the third is for giving away. The Save-Spend-Give method is great for helping kids develop a healthy and balanced attitude toward money. While they’ll save some of their money for their future and longer term purchases, they’ll also get to spend some of it right away, which makes the saving easier. At the same time, the Give container will help them understand the importance of charity and generosity and the joy that comes with helping others. 2. Money is finite so spend wisely. As the old adage goes, ‘Money doesn’t grow on trees.’ While we may have unlimited wants, we don’t have unlimited resources with which to fulfill them. We have to be careful in choosing where to spend our money; the decision to buy one thing is a decision not to buy something else. Decisions about what to spend and when to spend are something children can begin thinking about at a young age. 3. Delayed gratification is important to happiness. Help your child to visualize a scenario like the following: Imagine you want a brand new bicycle, but don’t have the money to buy one. In that case, you need to save your money until you have enough for the purchase. It will be a sacrifice in the short term, since you won’t have as much money to spend on other things while you’re saving. However, if you stay disciplined and patient, you’ll end up with a fabulous new bike… and you probably won’t even remember the ‘pain’ of saving for it. When you have to wait for things you really want, you appreciate them much more and feel proud of how you’ve sacrificed for them. While the full significance of compound interest will be lost on a young child, the main point is easy to understand: Start saving money right now and you’ll actually make money. 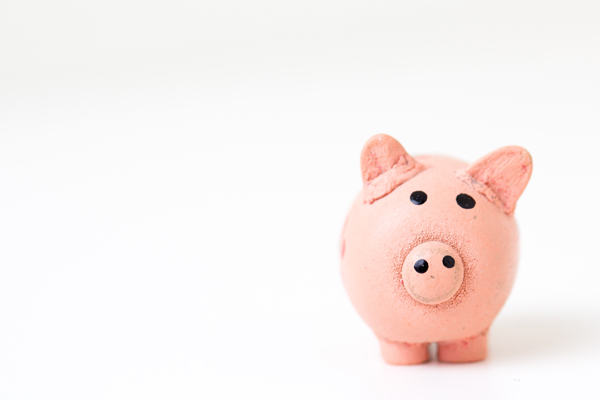 Put simply, in a savings account, compound interest is the interest added to the original amount, which then adds interest on the new total amount. For example, imagine you save $100 at 7% interest. After ten years, you’ll have doubled your money without having to do anything else. Compound interest is a powerful thing… but it needs time to work. Showing children how their money is earning interest can inspire them to save. There’s a lot we can teach our kids about how to be good stewards of their resources. If you start with these four lessons, your kids will be on their way to a healthy attitude about money for the rest of their lives.